My woodworking is about design, for function and appearance, rather than the use of traditional techniques for their own sake. I use mainly European and North American hardwoods, such as oak, ash and maple. The decorative painting makes my work unique. 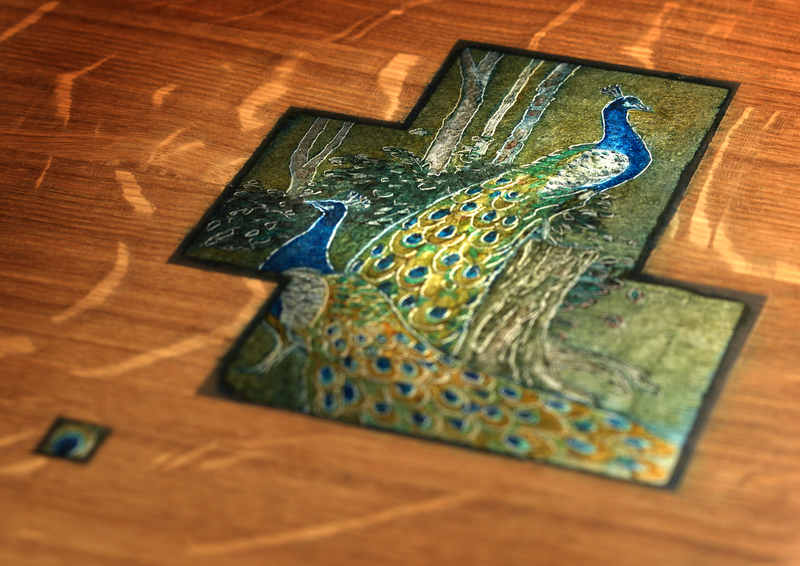 Derived from a traditional technique for imitating exotic materials, such as mother-of-pearl and tortoiseshell, it involves applying small panels of metal leaf to the surface of the wood which are then painted. The metal leaf shines through the paint making the artwork irridescent. My paintings are sometimes based on landscape, sometimes entirely abstract. Often customers choose the subject matter themselves. Once varnished the paintings are not easily damaged and will withstand normal wear and tear, even on table tops. Because the final finish includes wax it is sensible to use coasters and wipe up any spills.